Paris | Sleep Late Tomorrow! Bonjour to the city of light! When you first think of Paris, you think Beauty, Love, and Art. My first memory of Paris is a cartoon series- Asterix and Obelix. I first read about Gaul and Lutetia in the 2nd grade. Today they are France and Paris. I went on to read about Paris in almost every single literary piece of work after that. Somehow, throwing Paris into anything makes it far more sensational than it would have been without it! So much did I hear about Paris, that I even learnt French for a brief period. However, by the time I had a chance to visit the seat of art, the only words I remembered were Bonjour, s’il vous plaît, and Merci. Thankfully, Paris has such a huge floating population of tourists, that language is not a problem anymore. Before leaving for Paris, I read The Da Vinci code once again. To the literary enthusiast, it gives a pretty detailed and broad view of what walking around in Paris is like. It also lends a mysterious quality to the city that heightens your excitement of being there. 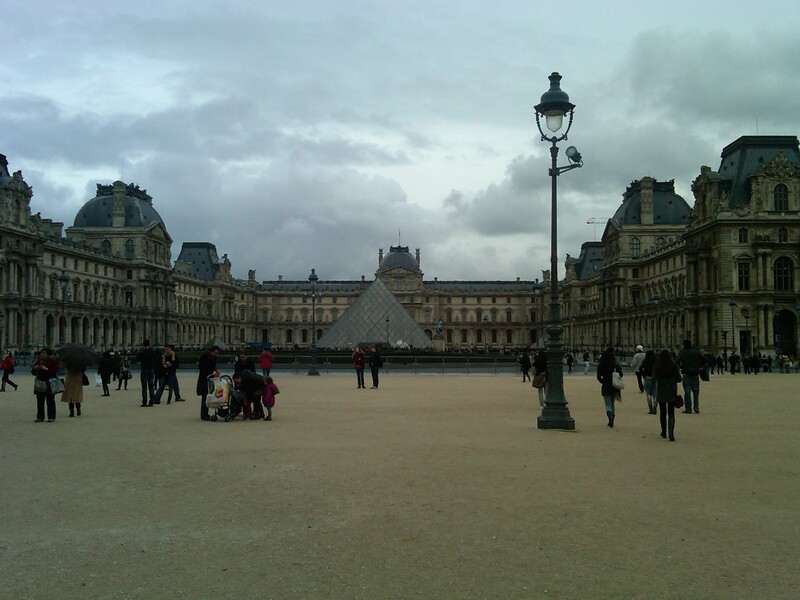 My first visit, no surprises here, was to the Louvre. Visiting the Mona Lisa is the most traditional thing to do in Paris, but nevertheless, if Monsieur da Vinci says it’s his favorite painting, you kind of want to smell the genius just a little bit. Maybe a whiff of the history of the Mona Lisa is all the inspiration you need! However, on the way to visit the First lady of France (Yes, that’s her! 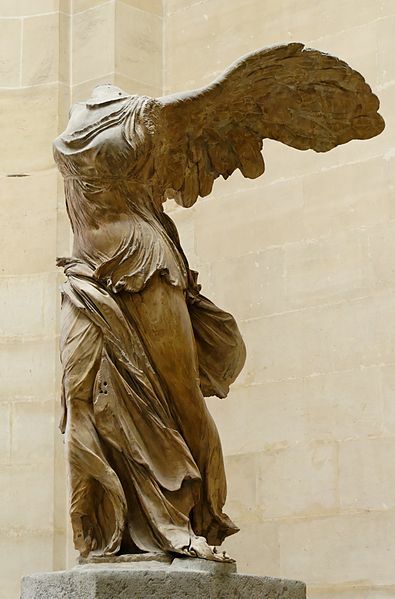 ), I was waylaid by the gate keeper-“Nike of Samothrace” more famously known as “Winged Victory”. Excavated in Greece, and created around 190 BC, this stunning sculpture is the perfect prelude to the Masters’ gallery. It stands guard to “The Denon Wing”, home to the Italian and Spanish virtuosos. This sculpture is majestic in its beauty. It is a perfect representation of the power within a woman. The sculpture is headless, but it’s stature commands respect and claims glory. It has cemented itself as my personal favorite through the sheer force of its posture. Once you are able to peel yourself away from her, you enter the home of Da Vinci and Caravaggio. The Mona Lisa (La Gioconda) hangs within climate controlled, bulletproof glass, and at any given time, there are at least 50 people surrounding her, and 50 cameras flashing around you. If you are able to steal a few meaningful seconds of appreciation up close, consider yourself lucky. So much has been written about her smile, and beauty, that I will let you be the judge of her fame when you come face to face with her. Of the Da Vincis, “St. John the Baptist” is my favorite. 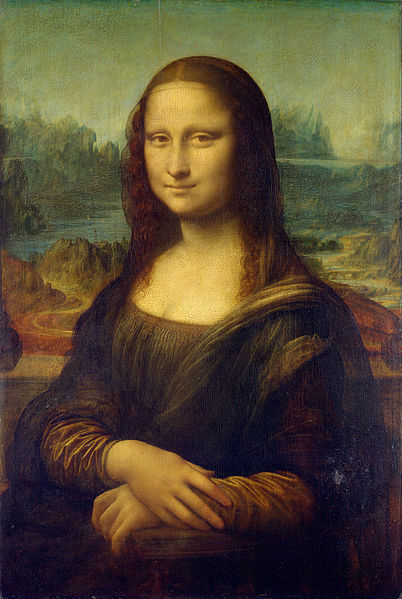 The smile and expression on the face are similar to that of the Mona Lisa. The veil thrown over Leonardo’s life intensifies the intrigue of the painting. 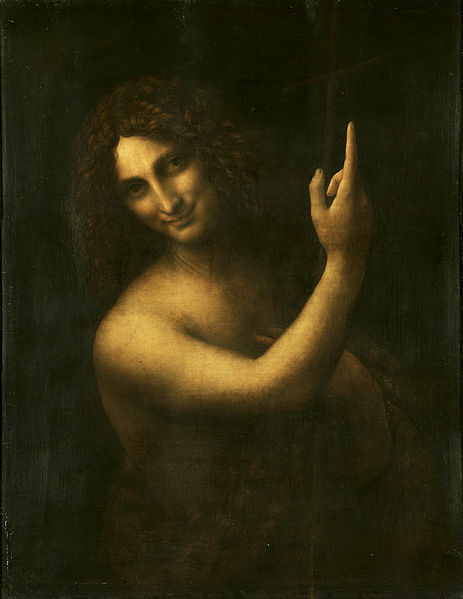 The model for the painting is rumored to be Salai, Leonardo’s apprentice, and supposed lover. The gallery also boasts multiple Caravaggios. 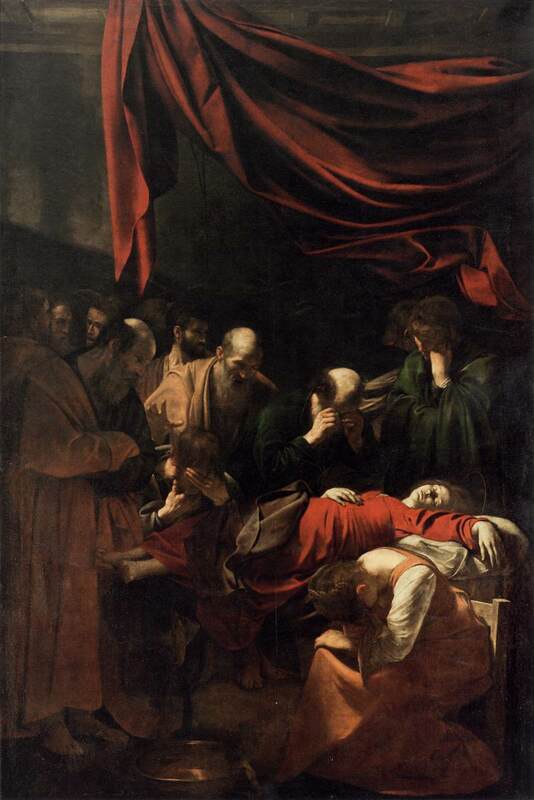 One of them, “Death of the Virgin” depicting Madonna’s passing is probably one of the most scandalous pieces in history. This piece, commissioned for a Carmelite Church, was rejected and declared unfit for the house of God. Not only is she represented as a mortal woman, the accusations were that, Caravaggio modeled Mary over a local prostitute. This piece of art is huge, and the space in the gallery is not large enough to observe it in its entirety, but do try to get as much mileage out of it as you can. It is one of the most classic representations of “Chiaroscuro”(strong contrasts between light and dark) in Caravaggio’s paintings. 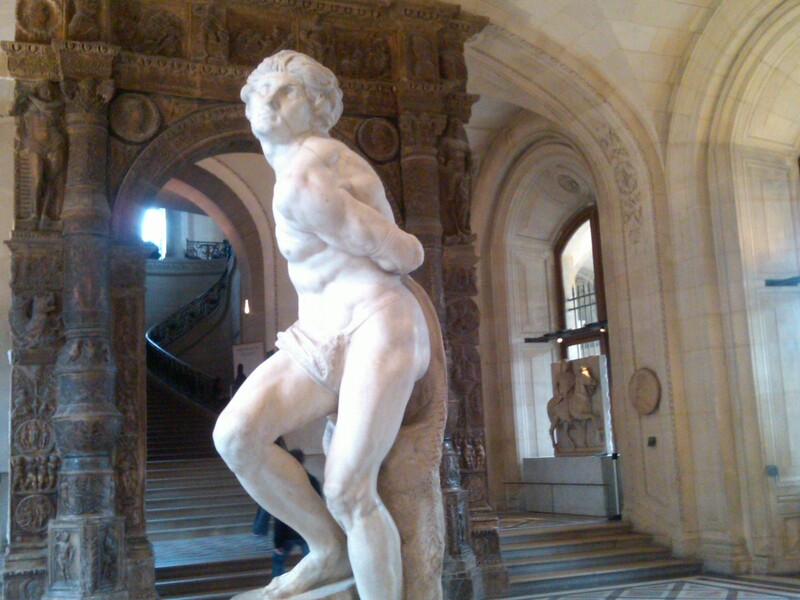 When visiting the Louvre, it is pivotal to pick and choose, if you have limited time in which to enjoy it. So, pick your favorites, and hope to stumble upon something fabulous in the process. Sculptures not to miss are, the free and captive slaves by Michelangelo, and the Venus De Milo, for its popularity factor. I also had the time to visit the Dutch gallery, which owns “The Astronomer”. This painting has immense historical value, being one of the paintings that Hitler personally hand picked for his gallery. The Louvre also boasts one of the most diverse Rembrandt collections in the world. From still lives, to mythological themes, and meat carcasses, it is like a canvas of life itself, with its many diverging themes. Now, what I stumbled upon in the Louvre is that, one of the best views of Paris, is through a tiny window in the Dutch section of the Louvre. 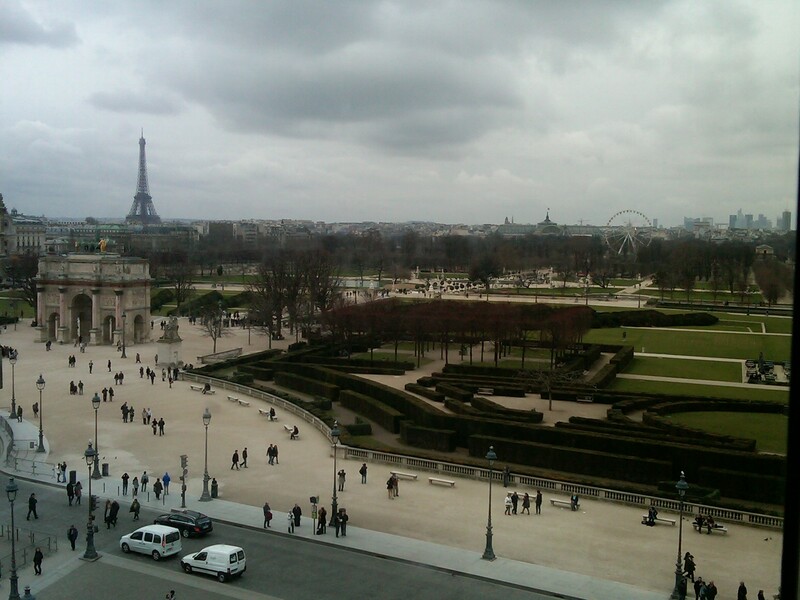 You see the sweeping gardens of the Tuileries, the Eiffel tower in the distance, The Luxor Obelisk, The Roue De Paris, The Musèe D’Orsay, and towering Sky Scrapers. To top it off, I was standing on the holy grail of artistic lands! 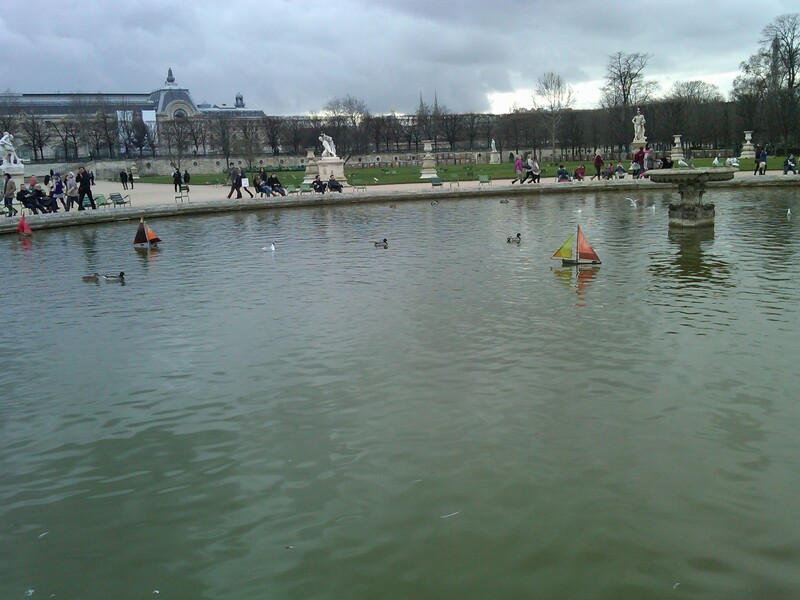 As I walked out of the Louvre, overwhelmed, and stuffed with information that makes the head spin, “The Tuileries Gardens” offered a peaceful release. The gardens themselves have a rich history, but to a traveler weary of carrying the history of the Louvre, it is simply a garden that offers harmony. I decided to take a walk down Champs-Èlysèes from there. Described as the most beautiful avenue in the world, the street is famed to have the most expensive real estate in the world as well. Not only is it the last leg of the “Tour De France”, but is also lined with Louis Vuitton, Dior, Chanel, and every other fashion brand imaginable, alongside cafes, theatres, and a multitude of things to entertain you in the most expensive way possible. 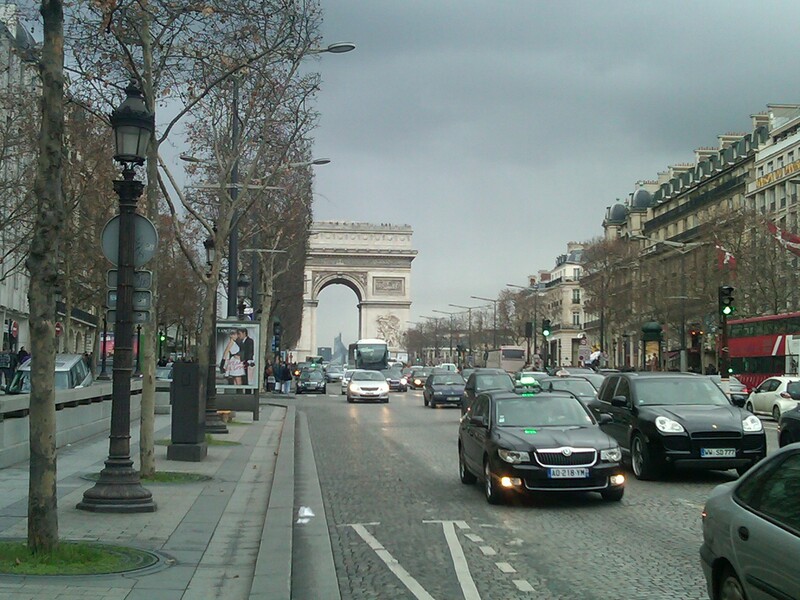 At the western end of the Champs-Èlysèes, stands the “Arc de Triomphe”. Commissioned by Napoleon to celebrate his victory at Austerlitz, he passed through it one last time, after his death, on the way to his resting place at Les Invalides. To an art lover, no matter how fatigued, the pull of great artists is insurmountable, so I spent the remainder of the day in the Musèe D’Orsay. Ideally, you must spend weeks together in Paris to soak up the art and beauty the city has to offer, and just half a day at each of these meccas of art, is truly sacrilege, however, we must do the best we may, and wait for a chance to return. 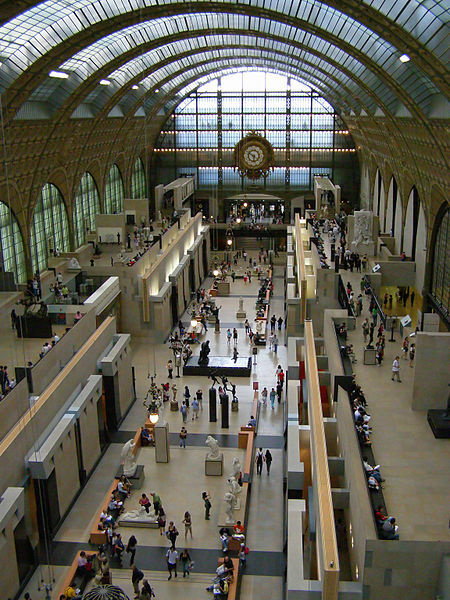 The Musèe D’Orsay rests in a structure, that earlier used to be a train station. The wonder of the museum, hence, starts with the building itself. The Musèe D’Orsay is easier to navigate and absorb, as compared to the Louvre, since it is a dedicated impressionist gallery. 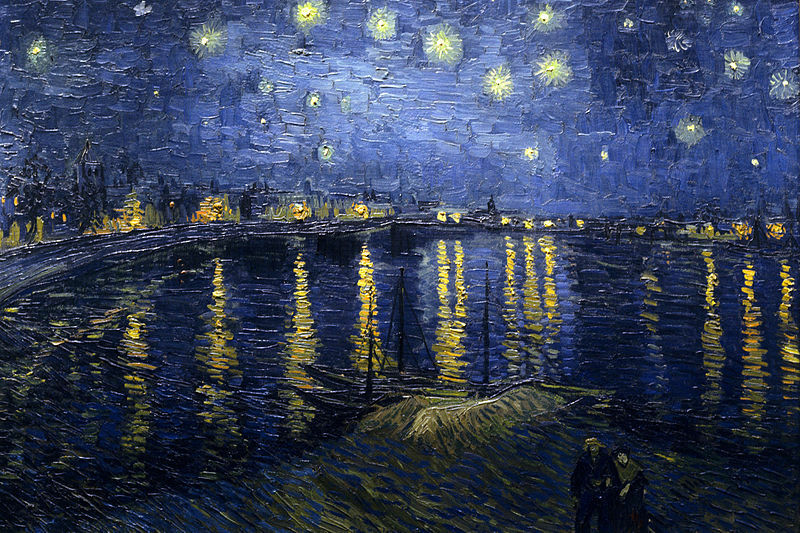 Each of the art works, ranging from Van Gogh to Toulouse-Lautrec are chosen with a great deal of care, and represent a very unique part of the artist’s thinking as well as life. Renoir, Monet, Manet, Degas, Morisot, Gauguin, Cézanne make up part of an exhaustive list of artists who are immortalized here. I love the fact that the Musèe D’Orsay focuses on a particular movement, because you’re not distracted by the desire to see a million things, and truly have the time and energy to focus on a few pieces, well deserving of your attention. 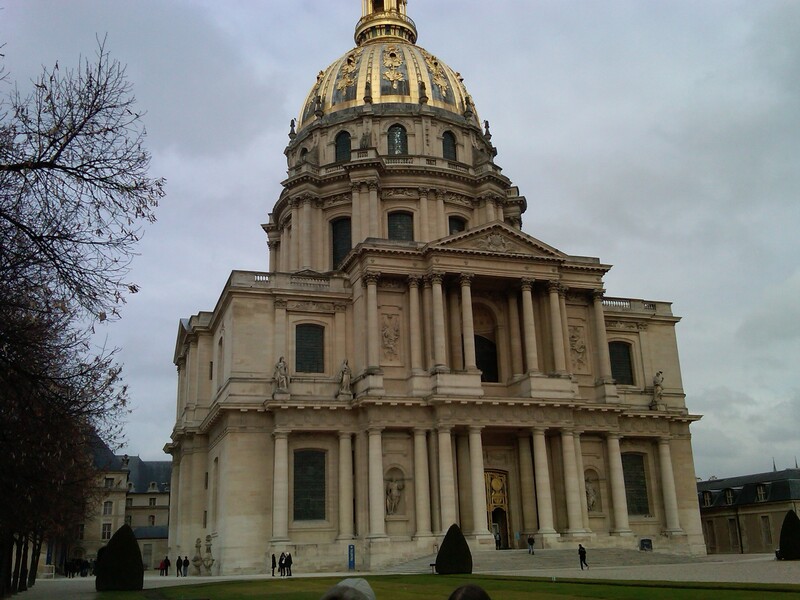 Out of the Musèe D’Orsay, I headed out to Les Invalides. It is the mausoleum that serves as the final resting place of Napoleon Bonaparte. This is a segment of Paris that is so easy to forget and skip over, because there are too many other things to charm you. 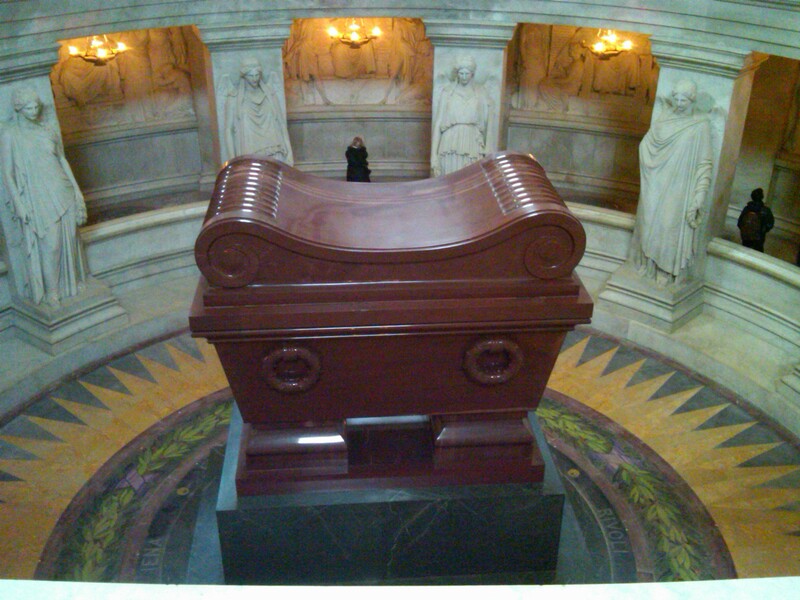 However, seeing Napoleon’s tomb is the way to truly embody the spirit of all that Paris can be. Walking down the stairs to pay homage to a man with immense vision is a journey you must make, and despite his many fallacies, try to understand the spirit and humanity of the man who wished to make France the most powerful country in the world. Without it, my experience would have truly been incomplete. 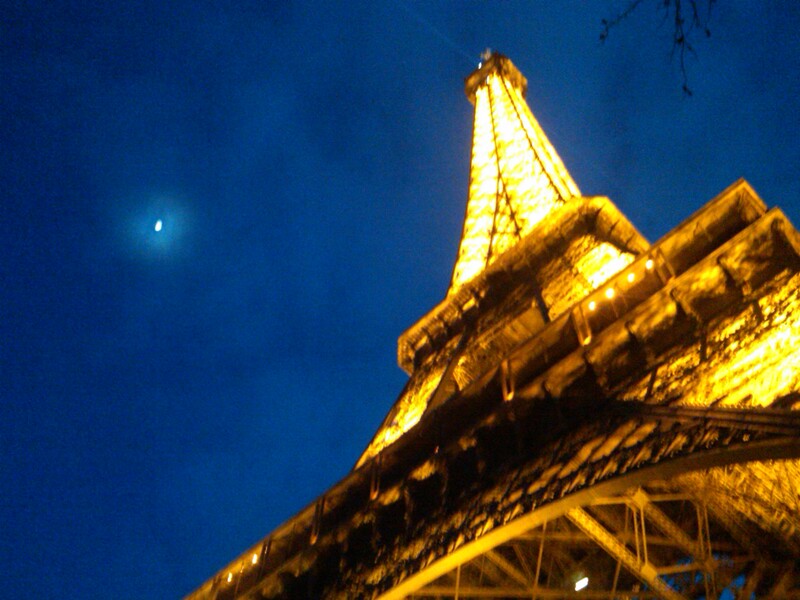 At night, with the Eiffel tower lit up, it is visible from almost every corner of the city. However, that visit would have to wait till tomorrow. What I needed now, was a good night’s sleep, and some fresh croissants in the morning. I started the morning with a full range of French breakfast foods. French cooking is for Julia Child to teach, so I will leave that up to her, and the cuisine aficionados. Furthermore, great food, good wine, and good company can only be enjoyed while you sit around, simply enjoying the moment. There will be times in my sojourn when I will do just that, but this trip was for my soul not my stomach. 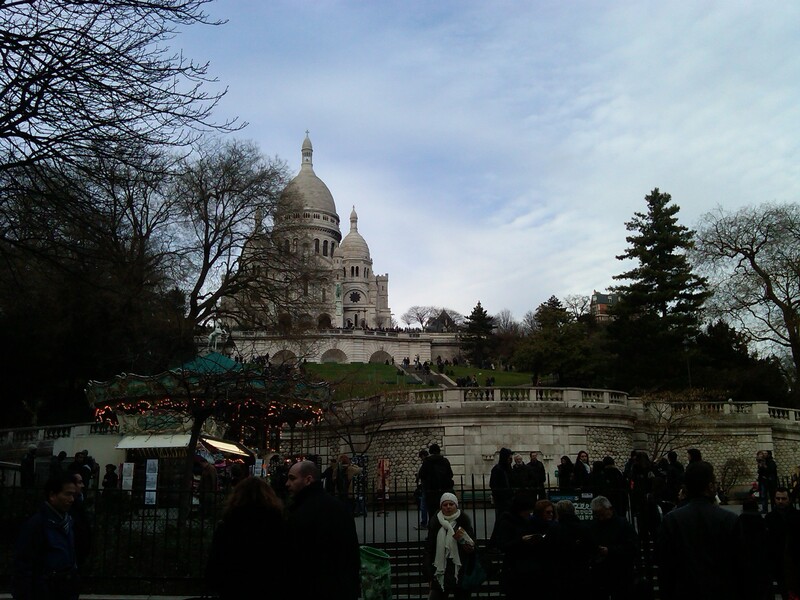 True to feeding my soul, I headed out to the “Basilica of the Sacré Coeur” on “Montmartre”. The juxtaposition of the location of this church is such that, you must pass numerous peep show shops, more things on display than you can imagine, and the Moulin Rouge to get there. Now I will leave it up to the proponents of philosophy and religion to decipher the meaning, but in the eyes of Lutetia and Oscar Wilde, it is pretty clear- Every Saint has a past, and every sinner has a future! I recommend Climbing Montmartre by foot. It gives you a sense of having worked hard to attain a goal, with the added bonus of the realization that you really need to get into shape! The church itself is not quite as impressive as many of the other chapels in Europe, which will leave you spellbound. However, what is to die for is the history that comes with it. It was a popular gathering spot for the impressionist artists, and was also at one time, an impoverished neighborhood, where artists like Pablo Picasso and Toulouse-Lautrec lived in hopes of inspiration. 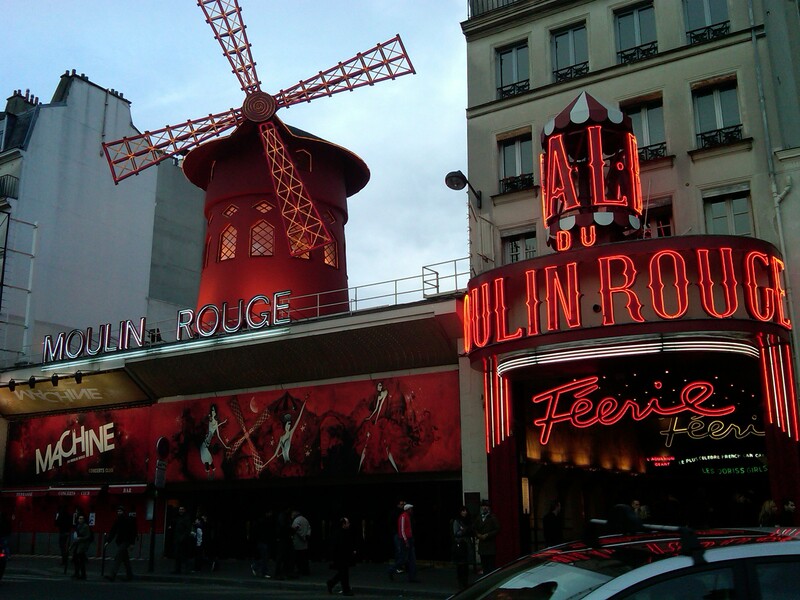 Although Lautrec finally found his inspiration in the Moulin Rouge instead! Being a Monet fan, a visit to Musee Marmottan Monet was must for me. 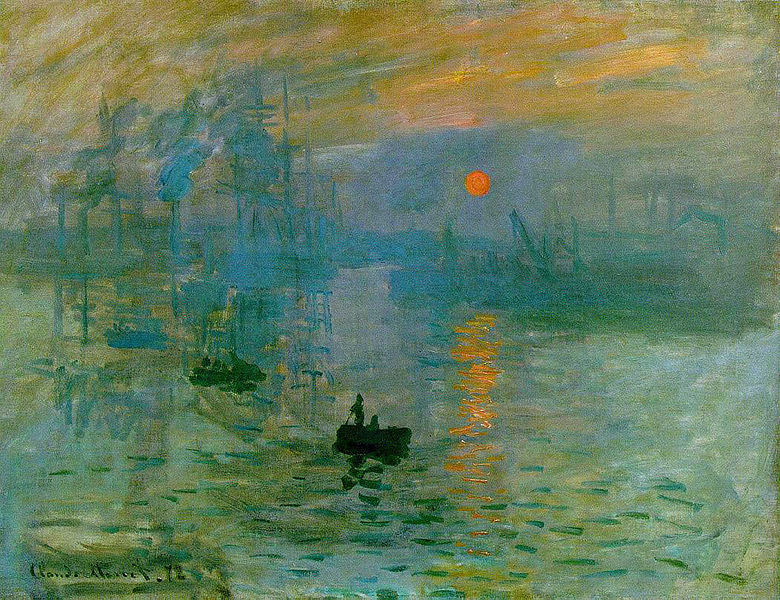 Musee Marmottan houses the famous: “Impression: Sunrise” from which the movement “Impressionism” was derived. 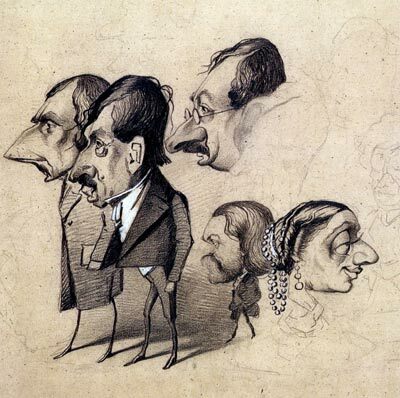 It also houses numerous other paintings by Monet, including, to my surprise, caricatures! One associates Monet with water lilies, subtle brush strokes, and bright colors, but it is quite impossible to imagine him sitting around in a carnival, painting caricatures for a quick buck. The kind of personal insight you get from smaller museums is quite unbeatable. 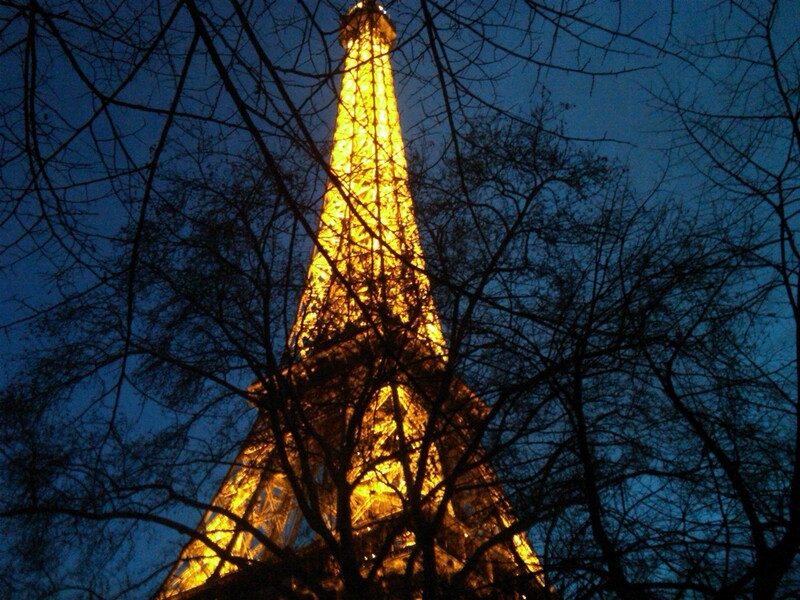 My final visit, was to the much-hyped main attraction in Paris – The Eiffel tower. The tower’s light show starts at 6PM everyday. Now, the Eiffel tower is truly a sight to marvel at, however, I confess myself disappointed when I reached the top. Chicago will give you a far more panoramic and lighted view than Paris does. The treasures of Paris can only be enjoyed from down below. There is no bird’s eye view to be offered, because the city has to be experienced with the heart, not the eyes. I recommend rounding off a day with just this. The Eiffel tower, is truly a feat of great structural engineering, and a symbol that Paris will be associated with forever more. As I headed back, in a sense of perfect closure, I passed a playground with foam figures of Asterix, Obelix, and Dogmatix all around! In truth, any city, its essence, its complete beauty, can never be assimilated in a few days. This is true even more so in the case of Paris. A city so beautiful that even Hitler could not bring himself to destroy it. It is the heart and soul of what Europe has come to represent today. A city, without the mention of which, no love story is complete. You wonder why, but you can never truly know, until you actually visit this city of love and light! 🙂 tu aime Paris – oui?